Cebu was nothing like I imagined it to be. I expected to see a simple laid back lifestyle. To my surprise, it was almost like Manila, only cleaner and lesser traffic. It’s already very urbanized and the people are very nice. One thing I noticed though, everywhere I look, there’s always someone that catches my attention - So many incredibly good looking people everywhere. I get to chat with a cab driver and asked him, how come there’s a lot of foreigners and so many good looking Cebuanos everywhere? He told me that most Cebuanos have either Spanish or Chinese blood, and foreigners flock because it is an urbanized place like Manila but lesser traffic and chaos, that’s why. And although I am yet to discover Cebu since we came here to work, I am sure I’ll have more interesting things I can share about my experience in the next few days. I can't believe your initial perception of what Cebu is. You are the embodiment of being a foreigner in your own country. Anyway, nobody's to blame. 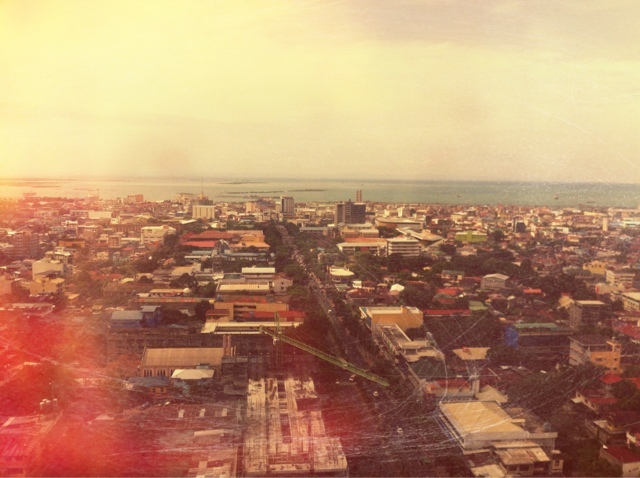 Enjoy Cebu, the Queen city of the South. This post calls for more promotion of local tourism. @Geosef: will definitely post more about my experiences here in Cebu. I love the food here.